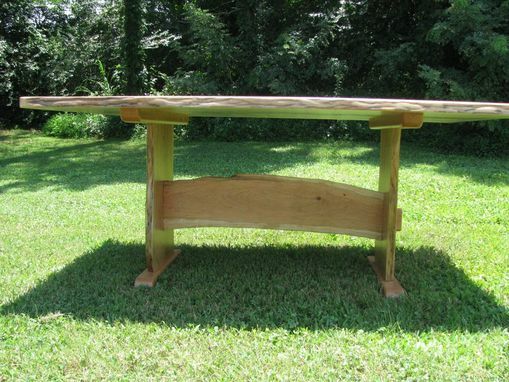 If our Woodgenius has ever built a table that the photos could not do justice, this is it! 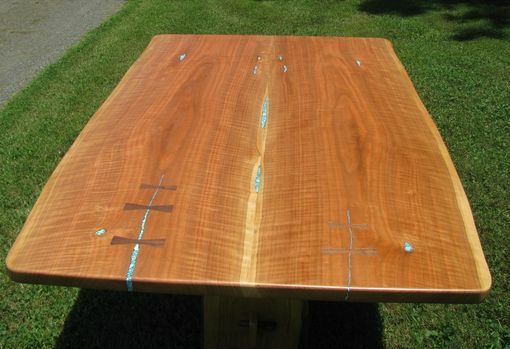 Courtney chose fabulously curly cherry slabs for her Trestle Dining Table, and our Woodgenius added walnut bow ties and just enough turquoise to make the whole effect pop! Hand-cut bow ties anchor the through-mortise trestle. 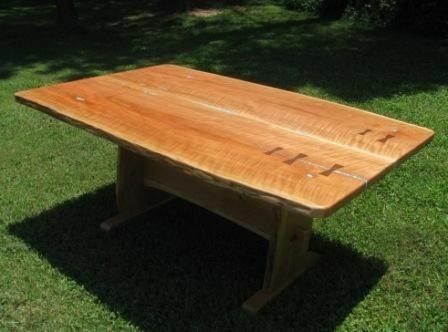 Courtney was, needless to say, thrilled with the table.